Once at the conclusion of a stirring speech on the guarantees of the Constitution, a heckler shouted, “Aw, them words don’t mean nothin’ at all. Where’s all the happiness you say it guarantees us? To paraphrase Franklin, Jesus came to bring cheerfulness to the world, but you have to catch it yourself! The Greek word for cheerful is hilaros. Dr. Vine defines it as “propitious; He says it “signifies that readiness of mind, that joyousness, which is prompt to do anything; hence, “cheerful” But you don’t have to be a Greek scholar to see the English word “hilarious” is derived from it. The Bible has a good bit to say about the value and virtue of being cheerful. 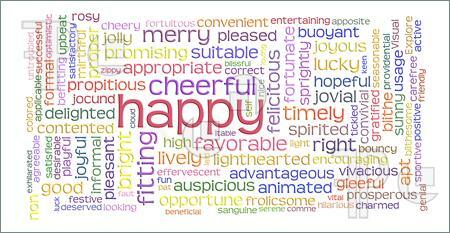 (1) Cheerfulness or the lack of it affects our outward demeanor. The wise man wrote, “A happy heart makes the face cheerful, but heartache crushes the spirit. (Prov 15:13). The inward attitude of cheerful will improve your face-value! (3) Cheerfulness should be demonstrated in Daily Christian Living. The apostle Paul even connects gifts of mercy in Romans 12:8 when he speaks of one showing mercy with cheerfulness. (4) Our Worship should be filled with a spirit of Cheerfulness. Jeff Walling tells the story of an alien that sees a church building and peeks in and asks “what are they doing in there?” “They are worshiping”, His guide told him. “Why are they worshiping?”, asked the alien. Jesus taught that God-pleasing worship is not only according to Truth, but is done in the right spirit (John 4:23-24). Worship should be a joyful, happy and cheerful experience. (5) Even when outward circumstances are unfavorable, we can feel inner cheerfulness.